It attracts the tourists as it is the main fishing centre of the district. It is situated at a distance of 5 kilometers south west of Cheruvathar. The islet is in the region of 16 km2 as the land surface and has sheltered around 10,000 people in the main course. The economic development of the people belonging to this island mostly induces from the means of agriculture and fishing. The island is nourished by four rivers and plotted with abundant tiny islets, the island is ought to be a favorable backwater remedy that serves you with the best charming boat cruises. Valimparamba is mainly remarked for fishing centre, and is at a distance of about one hour away from Bekal. The islet is comprised with seven primary schools, one high school and even one higher secondary school is seen around. Valiyaparamba the seacoast is the main attractions for the tourists who visit the islet, and it is the major picturesque backwater which has been stretched in Kerala which is at a distance of about 30 km from Bakel. The other attraction is the vast beach in the prolonged side of the islet; the tremendous beach side accompanies you with the moisturizing atmosphere and leads your way to the eternal side of the vicinity. The islet is located 50 kilometers north of Kannur, the nearest railway station is Payyanur raiway station which is at a distance of about 4 km away from the backwater reserve of Valiyaparamba. Other nearest railway stations are Cheruvathur, Neeleshwar. The closest airport which serves you with the best airplanes are the Mangalore airport which is at a distance of about 90 kilometers from the backwater and the fascinating Kozhikode airport at the distance of about 150 kilometers from the tourists spot. The closest bus transports are available at Neeleshwar and Cheruvathur, the buses will lead your way to the backwater and makes one journey remarkable. 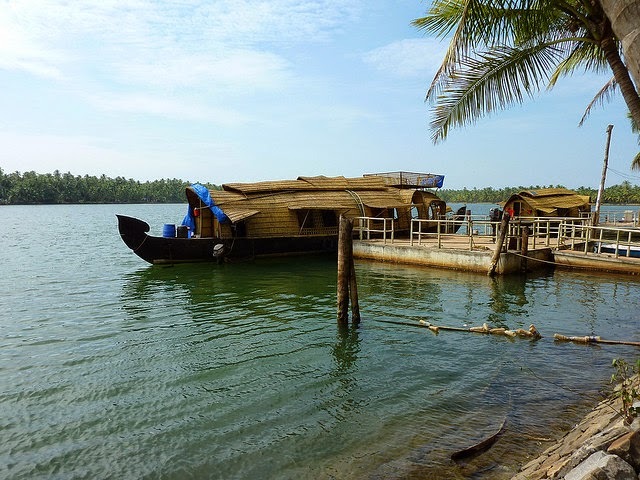 The tourists are heartily welcome to the Veliyaparamba Island and Backwater and are obvious to stay for fortnights and at least for a week to enjoy the beauty of the beach, the islet and the boating’s and the house boat cruises. It is a must visit place once in a lifetime.